The Acoustic and Main Stages were set up opposite each other again, meaning nobody needed to miss a single act. As one of our artists finished on one stage, we were ready to go on the other. We had a covered area, so we were shaded from the sun. 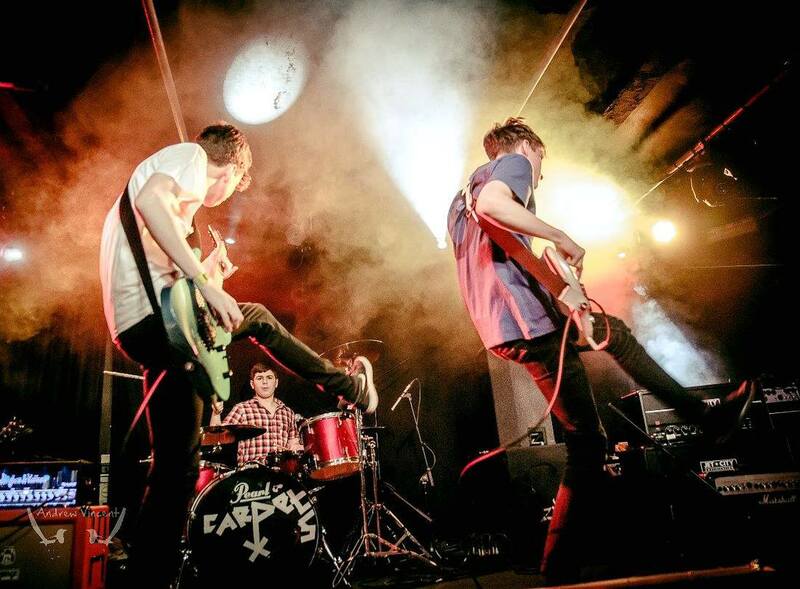 We had some amazing quality- check out some of the bands below - from young up and coming local singers, to famous names that have toured the world and played in front of thousands. From the first gently strummed six-string to the last note of feedback - we had a brilliant day out with you all! Throughout the last seven years The Total Stone Roses have been playing sold out gigs across the UK, gaining them a solid following and the largest online presence of any Stone Roses tribute band… 40,000 fans cant be wrong! The band are huge fans of The Roses and are meticulous in their re-creation of the material in a live setting, are all pro musicians that do this for a living and are the best at what they do. You will not find a better sound a like band this side of 1989! Small Weller is everything that Paul Weller and The Jam are, but smaller. Covering all the best bits from the 35 year history of The Modfather. Using authentic equipment and capturing the unique sound and energy, Small Weller deliver a live show that the fans will love. Lots of energy here, folks. We're were bouncing again .... it was mental. The Salford Jets formed in ... errr .... Salford in 1976. Singer Mike Sweeney founded the original lineup with guitarist Don McKintyre, bassist Diccon Hubbard, and drummer Dave Morris. Guitarist Rod Gerrard replaced McKintyre in late 1977, and after adding keyboardist Geoff Kerry,they cut their debut single, "Looking at the Squares," issued via WEA in 1978. After moving to EMI for the follow-up, 1979's "Manchester Boys", the band landed at a third major label, RCA, for a four-song EP, Gina. Their next effort, "Who You Lookin' At?" became their biggest hit and got them Radio 1 sessions with DJ Mike Read. A spate of singles followed before they split in 1982. Mike Sweeney later resurfaced in the Thunderbyrds, and is familiar to many of us because of his successful radio personality career. The Jets reformed in 1996, re-recording "Who You Lookin' At?" with the aid of The Inspiral Carpets Clint Boon. Appearances have been few and far between since then, so G-Fest enjoyed some Salford Rock and Roll history. John Grogan divides his time between the clubs and pubs of the North West and the Shamrock bars of the Canary Islands. If you've not managed to see his act you won't appreciate what superb guitar playing he brings to his vocal performance. John brings a full band sound to his set - he's equally at home playing fast paced rock, slowed down mellow acoustic and even classical guitar - but at G-Fest he rolled out the blarney with an up-tempo Irish set that got us jigging and singing along. Especially when he was joined by the combined forces of the Haslingden and Blackburn Irish Club Dancers. We've had music, we've had dancing, we had Irish Stew and a few cheeky wee drams - and a good bit of the old craic! Linda Jennings seen here impressing both the crowd and the judges on a certain ITV talent show this year. Blank Cheque bounced onto our main stage with an up tempo ska set and some serious sax. These guys have a fantastic reputation for getting a party started and have already shared stages with some big names, including The Selector. The Things emerged in the 1980s Manchester post punk scene, performing with acts like New Order, The Damned and The Fall, at Venues from Band On The Wall to Manchester Apollo, and touring the UK with Buzzcocks. Legendary DJ John Peel recorded The Things live and Mark Radcliffe featured them in session on one of his early radio shows. Since reforming, The Things have released two new CDs ‘EP1’ and ‘This Island Earth’, as well as playing across the UK and Europe. In 2016 a Manchester music complilation album featured The Things 1980 single ‘Pieces Of You’, and one of their tracks will also appear on a forthcoming retro CD box of British New Wave due out in August. 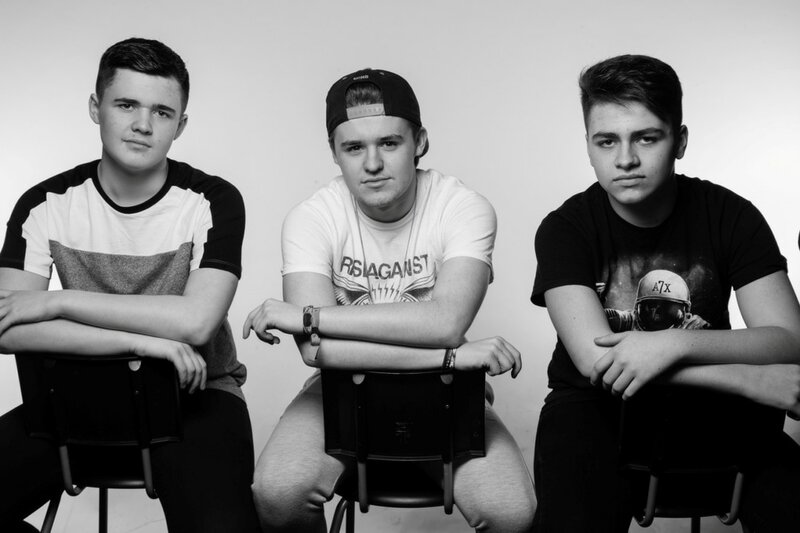 So Called Friend are a local, young, original and very energetic 3 piece rock/pop band inspired by the likes of Foo Fighters, Busted, Royal Blood, Biffy Clyro, Mcfly and Don Broco. The previous 18 months had seen them rock venues such as Band On The Wall, Academy 3, Rabbit Saloon, Rebellion Club, Factory 251. The Albion and The Venue. The 2016 G-Fest were amazed at the incredible standard of the younger bands that played, and So Called Friend raised the bar again with a set that was tight and punchy, alongside a dynamic and animated delivery. You may remember Unknown Refuge from 2016, as they put in a very mature, well orchestrated performance that just screamed 'ROCK'. The band had changed line-up since, and gone from a five to a three piece with original band members Alex Mancini and Joshua Hart joined by new drummer Morgan Deveney in October 2016. They've gone from strength to strength, performing a mix of original tracks and covers that, as promised, got you moshing on your feet and in your seat! (Seats are available at G-Fest). Influenced by Avenged Sevenfold, Metallica, Alter Bridge and Black Stone Cherry, they have performed at local gigs and most recently have been in the studio recording their new original track called 'If the Gods Be Good' - a big hit amongst fans. Check out Unknown Refuge on the link below and get a taste of what you can expect on the day.